It’s upon us again!!! 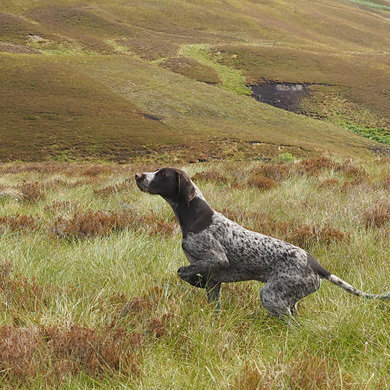 We make our great dog beds in Aberdeenshire and every year two of us go down to Crufts to sell dog beds at the world’s biggest dog show. This has been a tradition for years, I think we must have attended Crufts for over 10 years and as soon as I think about the Crufts week, I think about the daffodils that I see for the first time near Kenilworth in March a good while before we have the pleasure of seeing them up here in the cold Aberdeenshire. Maybe we make such warm and great dog beds because we experience the cold weather here more than in any other part of the country. 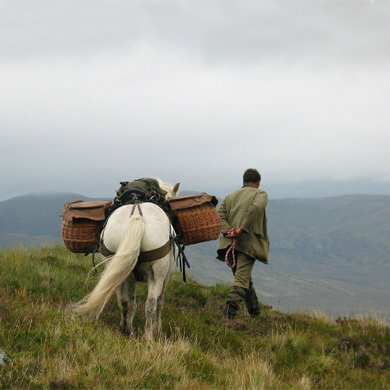 I spoke to a customer just down the road this morning, she was in Dundee, just 100 miles South of Aberdeen, and was wondering whether to take a nest cover on her Tuffie nest. 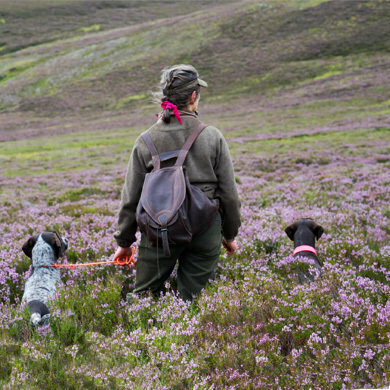 As she was buying two giant nests for her two Great Danes, it was all mounting up and she decided that she really didn’t need the nest covers, especially as it is going towards spring and summer. 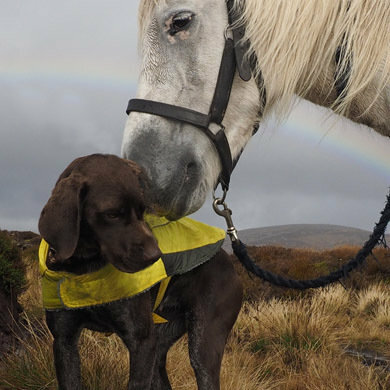 She told me that the horses were already casting their coat and that it is all very nice and warm in Dundee. Well, we had frost here this morning. 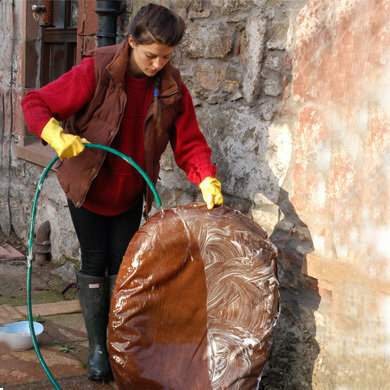 As an experiment I had one of the waterproof dog beds sitting outside last night with a puddle of water on it. 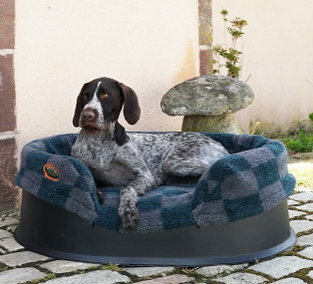 This is one of our Durasoft mattress beds with a silicone coating and I had allowed my big German Wirehaired Pointer to use it because he digs a lot. I wanted to see how the silicone coating coped with his keen digging and this morning I had to break a frozen puddle off this bed. Anyway, the bed has been washed in scolding water and soap followed by a good rinse and it looks absolutely great. 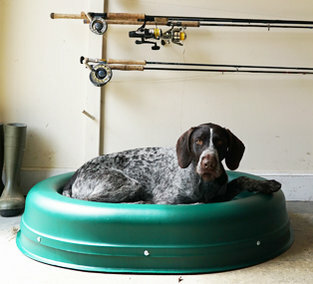 We are very proud of bringing such great dog beds to Crufts and we shall soon be launching our silicone coated bed as this provides, at a modest extra cost, a bed that feels soft and pleasant like an upholstery fabric, but which will not allow dog hairs to stick. Best of both worlds. 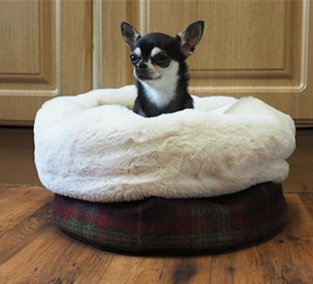 At Crufts we will be bringing all the dog beds we normally have available on our web site and we will also bring a couple of new items such as our new Sink-in Tuffie. 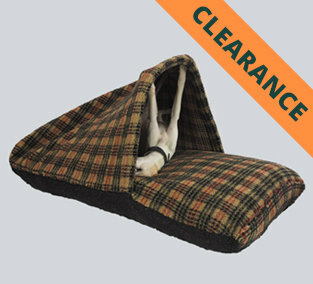 For the extra sensitive Princess on a Pea, we have made a sink-in Tuffie, which is filled with layers and layers of carted hollow fiber that is unwilling to move or separate, but which creates a very soft and sinking feeling for the dog. 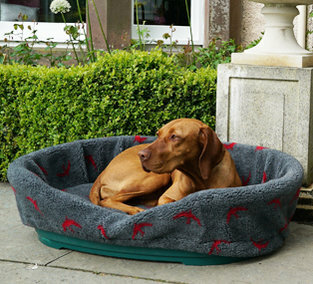 For these soft dog beds we have created a special system with vented eyelets in the waterproof fabric allowing the air to go in and out. 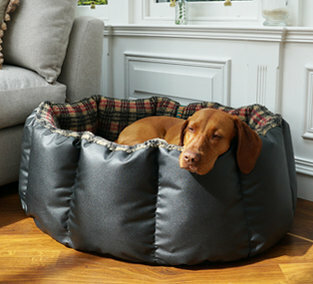 These dog beds will come with a cover of your choice, either a luxury fleece of any colour or our beautiful 100% wool tweed. 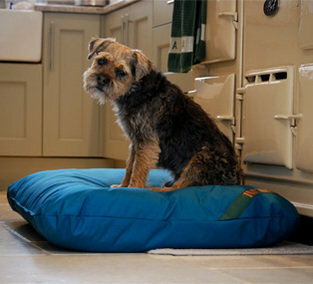 We are confident that these beds will be extremely popular once we have them fully out for sale. 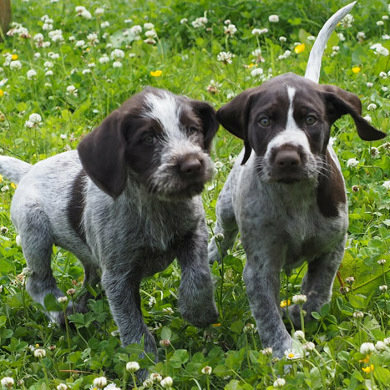 At Crufts they will not be amongst the dog beds for sale, but you will be able to place order for later, free, delivery.